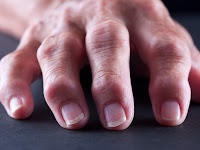 The precise mechanism which causes Rheumatoid Arthritis is unknown and is widely believed that a faulty immune response in which the immune system attacks the joints and organs causes the degeneration and destruction of the joints. Pain killers and steroids used conventionally only suppress the symptoms of RA and does not guarantee any long term benefit as compared to homeopathic medicines. The correct homeopathic remedy, based on the constitution and peculiar signs and symptoms of the individual, can guarantee a disease-free or symptom-less period as well as ensures that your immune system stabilizes, preventing relapses. Opt for homeopathy as soon as possible.Countless cases have been treated at our centres over the past 25 years and we can confidently say that the treatment offered here is much superior and beneficial as compared to the conventional treatments for RA. Rheumatoid arthritis is also a chronic form of arthritis, the cause of which is unknown. It usually manifests bilaterally, affecting joints on both sides of the body. Rarely, RA may occasionally affect the skin, eyes, lungs, heart, blood, nerves or kidneys. The disease onset, progression and duration vary considerably among those affected. Viral affection and numerous environmental, hormonal, emotional and genetic factors are considered as triggers of the immune system. Approximately 2 million Americans have RA with a higher incidence among women. Diagnosis: A combination of factors indicates RA as individual symptoms and Laboratory results vary significantly. They are: Symmetrical affection of joints, Joint stiffness on waking, X-rays indicating RA type degeneration of the joints. Positive Rheumatoid Factor (RF) in blood tests, Presence of nodules under the skin called rheumatic nodules. Anemia, increased ESR and positive ANA (Antinuclear Antibody) may also be detected in a person with RA. Hope you do take advantage of Homeopathy for RA and numerous such conditions resulting from an altered immune system. For any further query do contact us at the numbers below. I was diagnosed with SLE an autoimmune disorder in 2007.Its symptoms being inflamation of joints,febrile,morning stiffness and worst of all being bedridden with pain most of the time.I was mentally and physically bogged down.It all paved way for allopathic medicines steroids and painkillers and all the side effects that come with it.In next three years my condition did improve but my dependence on steroids and painkillers did not.In 2010 my friend suggested that i should try homeopathy as it has no side effects so if i would not gain anything i would not loose either.Im glad i did and things have changed since then.I met Dr.Anish Vaknalli in 2010 and started with his homeopathic treatment along with my allopathy.Its been two years now nd my symptoms have gradually reduced to a great extent.Im no more bedridden and can manage my everyday tasks much comfortably. A major change is that im on a small dose of steroids now but absolutely no pain killers, if any pain the sweet pills do the trick.I have to admit that homeopathy has provided a great support system and i only hope that my dependence on allopathy would gradually and completely stop some day. Another person who also resorted to homeopathy with me- my mother who suffers from RA past 10 to 12years.Her worst enemy was also taking painkillers frequently but gradually they would not even work for her sometimes.Homeopathy gave her a big relief.Her dependence on painkillers has reduced tremendously,her pain in joints has subsided a lot.She manages her household chores much smoothly now.I can saythat homeopathy has very well complemented with her allopathy .she just keeps getting better. All thanks to Dr. Anish who is very enthusiastic and a patient doctor.He is keenly involved with every discussion i make with him.Moresoever he is just a phone call away to provide immediate attention if things go wrong.To simply say he is always available for his patients giving them a top priority.His treatment has definitely worked for us.I have no hesitation to recommend him to anyone. Thank you.